Carl Ferdinand Wilhelm Walther (October 25, 1811 – May 7, 1887) was the first President of the Lutheran Church–Missouri Synod and its most influential theologian. He is commemorated by that church on its Calendar of Saints on May 7. He has been described as a man who sacrificed his homeland, his health, and nearly his life for the freedom to speak freely, to believe freely, and to live freely. He was dedicated to his Church and the faith for those he loved. C.F.W. Walther was born a pastor's son in Langenchursdorf in the Kingdom of Saxony (part of modern-day Germany). Out of a strong religious commitment, he immigrated to the United States in 1838. On September 21, 1841, he married Emilie Buenger. They had six children. He started two important publications, and was author of many books and periodical articles. He was also the head pastor of the four Saxon Lutheran congregations (called Gesammtgemeinde) in St. Louis (Trinity, Holy Cross, Immanuel and Zion). In August 1855, Walther turned down an honorary doctorate from the University of Göttingen, but in 1877 he accepted a Doctor of Theology (Th.D.) degree from Capital University in Columbus, Ohio. He died of a serious illness in St. Louis on May 7, 1887, and was buried at Concordia Cemetery, where a mausoleum was later built in his honor. Ferdinand, as he was called by his family, was first educated by his father. At the age of eight he attended school in Hohenstein for two years. He then entered "Latein Schule" ("Latin school", college preparatory school comparable to today's junior or community college) in Schneeberg, from which he graduated in September 1829. One month later he enrolled in the University of Leipzig to begin his study of theology and joined his older brother Otto Hermann, who was enrolled in the same university. During his college years in Leipzig he contracted a near-fatal lung disease and had to interrupt his studies for six months. While ill and recuperating, he assiduously read the works of Martin Luther and became convinced that Luther's theology clearly taught the doctrines of Holy Scripture. He also began believing in the importance of a firm confessional position. In 1833, Ferdinand took his first exam at the university. This examination authorized him to accept a position as a private tutor for a family in the town of Kahla. The experience of two years' tutoring qualified him to take his second examination in Leipzig and graduate. On January 15, 1837, he was ordained to the Lutheran clergy and became a pastor in the town of Bräunsdorf in Saxony. As part of his pastoral duties, he taught religion classes in the local school. He soon, however, found himself at odds with the rationalistic government of the Kingdom of Saxony because he believed it departed from the faith and practice of historic Lutheranism and promoted false doctrine—to him a lack of orthodoxy. Many other conservative Lutherans also opposed the Saxon government's liberal religious policies. Walther and several hundred of the other dissenters came together under the leadership of a pastor holding similar views—Martin Stephan from Dresden. In November 1838, under Stephan's ongoing direction, 800 Saxon immigrants left on five ships for America in what is known as the Saxon Lutheran Migration, hoping for the freedom to practice their religious beliefs. The settlers arrived in New Orleans on January 5, 1839. The group settled either in St. Louis, Missouri or to the south along the Mississippi River in Perry County, Missouri. Soon after the immigrants were settled in the new homeland, their leader and self-proclaimed "bishop of the new settlement", Martin Stephan, was accused of financial and sexual misconduct and was expelled from the settlement. His departure left Walther as one of the most well-respected clergymen remaining. He served as the minister at Dresden (later absorbed into the nearby town of Altenburg) in Perry County until 1841, when he was called to be minister of his late brother's congregation in St. Louis. The group of immigrants was deeply disturbed and unsure whether they were still a Lutheran congregation after having left the authorities and church hierarchy in Germany behind. Walther, who was originally called to be the pastor of a dual parish in the Perry County settlements of Dresden and Johannisberg, struggled severely over the questions that the other pastors and laity were also asking. 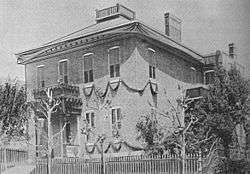 In April 1841, soon after his brother Otto Herman of St. Louis had died, a public debate was held between Walther and attorney Marbach, one of the lay leaders of the settlers, in what is known as the "Altenburg Debate." Walther convinced Marbach that they could validly consider themselves to be a church. He then accepted the call to Trinity Lutheran Church in St. Louis and served that congregation from May 1841 until his death. During his forty years of involvement in the LCMS denomination, Walther held several very key positions. A log cabin college, which Walther helped to found, opened in December 1839 in Altenburg and eventually developed into Concordia Seminary in St. Louis. Walther became its first president and held that position for the remainder of his life. 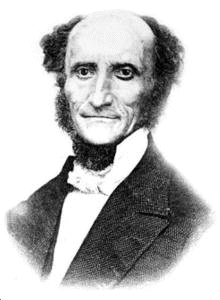 In May 1841, Walther became the pastor of Trinity Lutheran Church in St. Louis, a position he also held until he died. On April 26, 1847, the Lutheran Church–Missouri Synod (LCMS) was founded. Walther served as its first president, a position he held from 1847 to 1850 and again from 1864 to 1878. In 1861, he also became President of Concordia Theological Seminary, now in Fort Wayne, Indiana. He also began and edited several Lutheran periodicals, including Der Lutheraner and Lehre und Wehre. He wrote a number of theological books; perhaps the best known is The Proper Distinction Between Law and Gospel. Walther also vigorously opposed the theologies of non-Lutheran denominations in America, the influence of the major secular philosophies and movements upon Lutheran thought and practice, and defended the doctrinal and cultural heritage of the Lutheran Church. Walther, C. F. W. (1939). "False Arguments for the Modern Theory of Open Questions." Concordia Theological Monthly 10 Nos. 4-11:254-262, 351-357, 415-420, 507-513, 587-595, 656-666, 752-759, 827-834. Walther, C. F. W., Alexander W. C. Guebert, trans. and ed. (1947) "Why Should Our Pastors, Teachers and Professors Subscribe Unconditionally to the Symbolical Writings of our Church? Essay Delivered at the Western District Convention in 1858" Concordia Theological Monthly No. 4:241-253. Walther, C. F. W. (1986). The Proper Distinction Between Law and Gospel. W. H. T. Dau, trans. St. Louis: Concordia Publishing House. Walther, C. F. W. (1987). Church and Ministry. J. T. Mueller, trans. St. Louis: Concordia Publishing House. Walther, C. F. W. (1987) "Our Duty as Priests" Lutheran Witness No. 10:11. Walther, C. F. W. (2006). Works of Carl Ferdinand Wilhelm Walther, 1811-1887 . Fort Wayne: Project Wittenberg. Several of C.F.W. Walther's sermons have been preserved and translated into English by E. Myers. They are available online. In 2011, in honor of the 200th anniversary of Walther's birth, Concordia Seminary, St. Louis, Missouri, produced a five-part high definition video series which followed the life of Dr. Walther, including the history of the Lutheran Church–Missouri Synod. Part 1: Explored the theology of Lutheranism vs. Rationalism which the early church sought to escape. Part 2: A study on the Ten Commandments, Martin Luther, the theology of the Two Kingdoms and the importance of repentance, confession and absolution. Part 3: The chaos, confusion and conflict that plagued the early Lutheran church in America as it struggled to answer theological questions pertinent to day-to-day life in America. Part 4: Dr. Walther’s teachings on the invisible church, the visible church, the Law and the Gospel. Part 5: The video series concludes with the legacy of Dr. Walther and his impact on modern society. Concordia Seminary distributed the videos to each LCMS congregation in early October. A study guide and Bible study materials also accompanied each segment of the video. ↑ Christian Cyclopedia, s.v. "Altenburg Thesis" (St. Louis: Concordia Publishing House, 1954). ↑ Christian Cyclopedia, s.v. "Altenburg Thesis" (St. Louis: Concordia Publishing House, 2000). Bowden, Henry Warner. Dictionary of American Religious Biography. Westport, CT:Greenwood Press, 1977. ISBN 0-8371-8906-3. Drickamer, John M. and C. George Fry. "Walther's Ecclesiology" Concordia Theological Quarterly 42 (1978) no. 2:130-138. Graebner, August Lawrence. Half a Century of Sound Lutheranism in America: A Brief Sketch of the History of the Missouri Synod. St. Louis: Concordia Publishing House, 1893. Kolb, Robert A. and Thomas E. Manteufel, eds. Soli Deo Gloria: Essays on C. F. W. Walther. St. Louis: Concordia Publishing House, 2000. MacKenzie, Cameron A. "C.F.W. Walther – Pastor and Preacher" For the Life of the World 7 (2003) no. 4. MacKenzie, Cameron A. "C.F.W. Walther and the Missouri Synod Today" Wyoming District Pastors' Conference Sept. 16, 17, 1997. Nagel, Norman E. "The Divine Call in Die Rechte Gestalt of C. F. W. Walther" Concordia Theological Quarterly 59 (1995) no. 3:161-190. Rines, George Edwin, ed. (1920). "Walther, Karl Ferdinand Wilhelm". Encyclopedia Americana. Schwenzer, Daniel (2001). "Walther, Carl Ferdinand Wilhelm". In Bautz, Traugott. Biographisch-Bibliographisches Kirchenlexikon (BBKL) (in German). 18. Herzberg: Bautz. col. 1472–1476. ISBN 3-88309-086-7. Steffens, Diedrich Henry. Doctor Carl Ferdinand Wilhelm Walther. Philadelphia: Lutheran Publication Society, 1917. Suelflow, August Robert. Servant of the Word: The Life and Ministry of C.F.W. Walther. St. Louis: Concordia Publishing House, 2001. Wolf, Edmund Jacob. The Lutherans in America; a story of struggle, progress, influence and marvelous growth. New York: J.A. Hill, 1889. Wikimedia Commons has media related to Carl Ferdinand Wilhelm Walther.